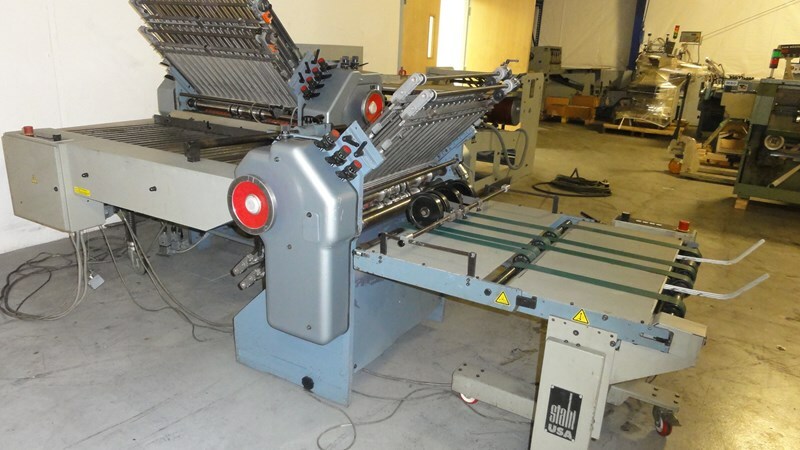 Reconditioned Stahl B30 (TD78) 6 plate folding line: 30" 6 plate folder w/8 page section. 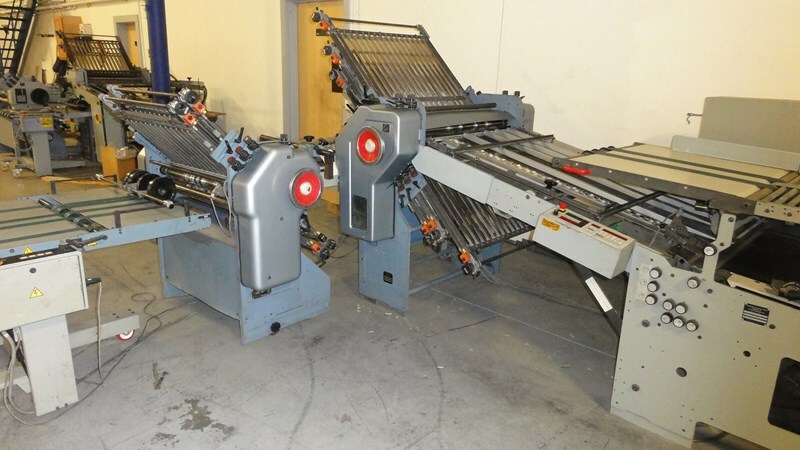 Note: Can be sold as parallel unit only or we can offer a package that brings it down to the 32 page as well as optional SAK/SBP or VSA deliveries. Call for custom quote on configuration you want. 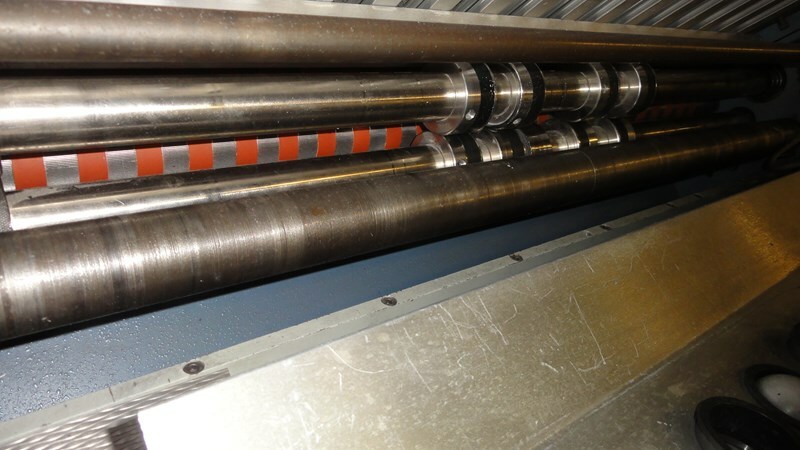 Rollers recovered in all sections. Bearings & springs replaced. Cleaned & checked.